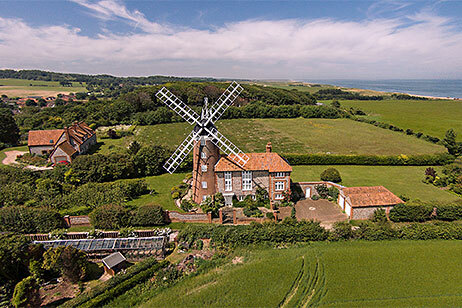 Within walking distance of Home Farm are: Weybourne village, the beach, a variety of walks, North Norfolk Steam Railway, Muckleburgh Military Museum. Just 5 minutes walk away is Weybourne Stores, where you can pick up all your basic food supplies, toiletries, newspapers, magazines and DVDs. 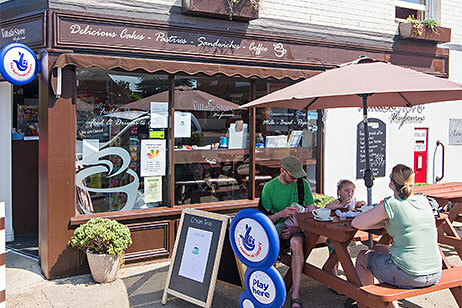 The shop not only offers your basic supplies but also has a coffee bar, serves cakes, pastries and quality picnic food. 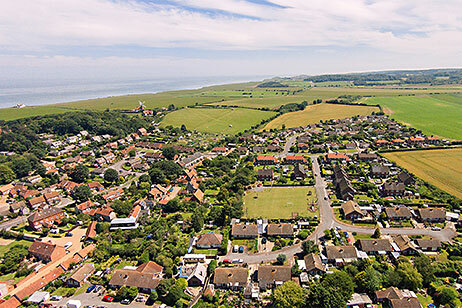 A larger food outlet can be found in Holt and in Sheringham, just 3 miles away. 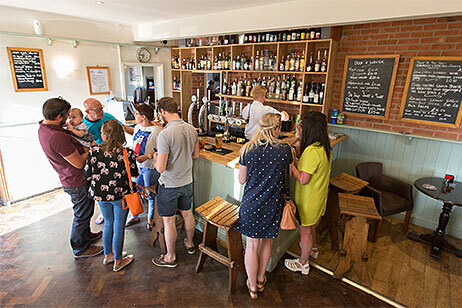 Within staggering distance from our cottages is the excellent, family-friendly, Ship Inn, which serves fine ales and hot food most lunchtimes and evenings. Also, just a few minutes walk away, the Maltings Hotel provides bar meals and a restaurant. Bunties’ is a small tea room serving tea, coffee, snacks and light lunches. We are spoilt for choice when it comes to choosing a good place to eat within the surrounding area. Paul and I can recommend various places to suit the occasion, whether it is for young families, a special occasion, fish and chips, or Sunday lunch. 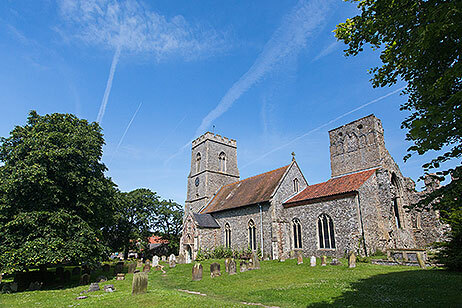 In the centre of Weybourne are two places of worship – the tiny but very active Methodist Chapel, and All Saints Church, with the priory ruins in its grounds. Being a coastal village the sea is only a 10 minute walk away from the cottages. This is not a bathing beach due to the deep water, but what I call a 'stone throwing' beach. It is a working beach where the local fishermen bring back their catch and anglers land mackerel and other seasonal fish. The beach is a beautiful place to sit, watch, and listen to the drawing in and rolling of the waves, particularly while the sun dips into the sea at the end of the day. 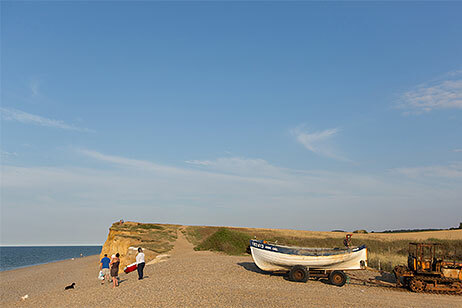 'All the best things in life are free', and walking from Weybourne is no exception. 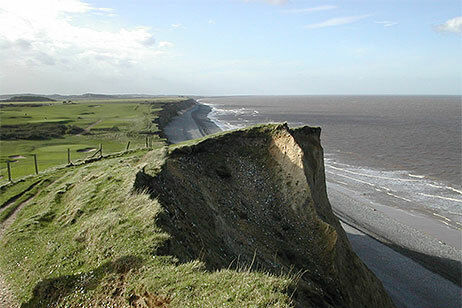 From the beach you can start the picturesque 3 mile cliff top walk to Sheringham, or head west towards the Salthouse Marshes to enjoy the migrating bird life. Within 15 minutes of Home Farm you can walk to the Cromer/Holt Ridge. You will find numerous inland walks over wide expanses of heath land and woodland, and walks taking you past the North Norfolk Railway (see below) and through Sheringham Park (where, besides seeing other wildlife you may catch a glimpse of the UK's smallest deer, the munkjack). A 15 minute walk takes you up to the North Norfolk Steam Railway linking the seaside town of Sheringham and the pretty Georgian town of Holt. Regular services run throughout the year, including many special events such as 'Thomas the Tank' and '1940's weekends. 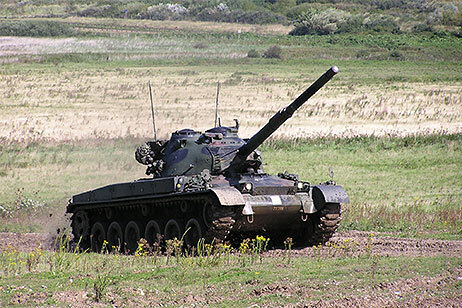 On the edge of Weybourne, just 10 minutes walk from Home Farm, is a collection of 16 working tanks and over 3000 other military exhibits - the Muckleburgh Military Museum. This is a good half a day out for all generations, with a lot of local history too. Within 10 minutes by car are: bird watching, golf courses, historic houses and other places of interest, family outings. 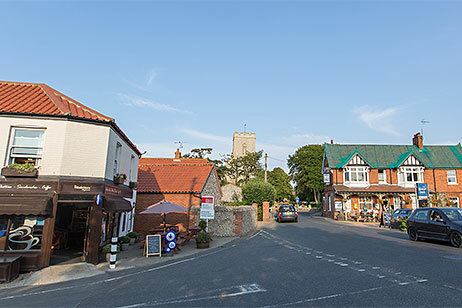 Just a short car journey away in this part of North Norfolk are many places to visit, and activities to enjoy. Besides the many family entertainments, there is birdwatching in the local reserves either on the coast, or inland; walking coastal paths, or in woodlands; golf; local fairs; and a rich variety of gardens and stately homes to add to the many flint churches characteristic of the area. There is also a wide variety of seasonal events. Only four miles along the coast are the popular bird reserves of Salthouse Marshes, Cley and Blakeney National Nature Reserve. Geese arrive to roost on marshland, feeding on the sugar beet tops, leaving again in Spring for cooler climates. Migrating birds get blown inland throughout the autumn and spring months. However throughout the year you will find redshanks, greenfinches, chaffinches, goldfinches, yellowhammers and dunnocks to name just a few. During the winter months there have been more unusual sightings of such as a jack snipe, snow buntings and white fronted geese. Another bird reserve in the area, with exotic waterfowl, is Pensthorpe with “miles of nature trails to explore through ancient fen meadows, woodland and a superb series of lakes”. Four miles away is the West Runton Golf Club where you do not have to be a member to play. The cost is £25 per day and £15 after 2 pm (01263 838215). 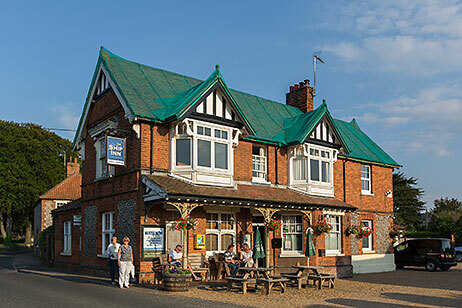 Sheringham Golf Club is 3 miles away (01263 822038) and The Royal Cromer Golf Club is 6 miles away (01263 512884). Within easy driving distance of Home Farm are many historical buildings of national importance. Felbrigg Hall and Gardens is a wonderful place to spend a day whatever time of year. Throughout the year events are held including Attic tours, Craft Fairs, Estate Walks, Shakespeare productions and Open air Jazz to name a few. Visitors can go and just enjoy the walks around the extensive grounds. Other houses and places of interest include Blickling Hall, Binham Priory, Baconsthorpe Castle, Holkham Hall, Sandringham (the Norfolk Retreat of Her Majesty the Queen), and Castle Rising. 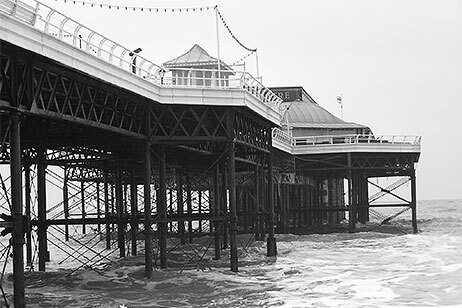 More information for the area can be found on the website of the National Trust and English Heritage. The places to visit are endless for families young and old. The best days out are the free ones and just a few minutes in the car are the sandy beaches at Sheringham, West Runton and Cromer. 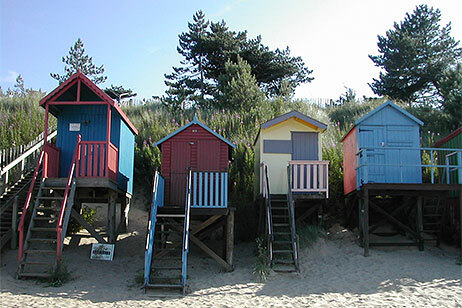 Slightly further afield you can enjoy the wide expanse of beaches at Holkham and Wells. 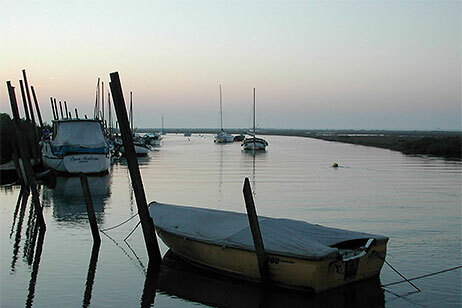 In the other direction enjoy the simple pleasures like crabbing on Blakeney quay or take a trip to see the seals at Blakeney Point. 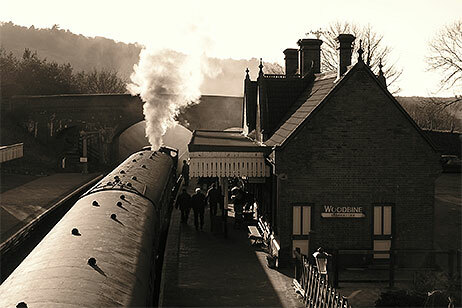 Or maybe take a train ride on the North Norfolk Railway or Bure Valley Railway. 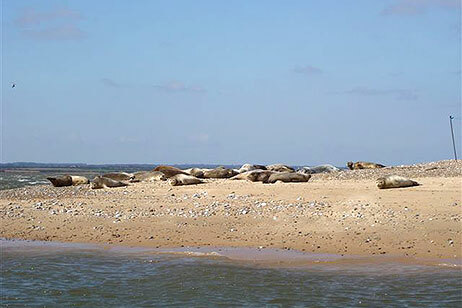 Hire a boat on the North Norfolk Broads, visit the Roarr! Dinosaur Adventure Theme Park, or get lost in the Priory Maze and Gardens at Sheringham followed by tea in its tearooms. There is so much to do it is impossible to name them all.